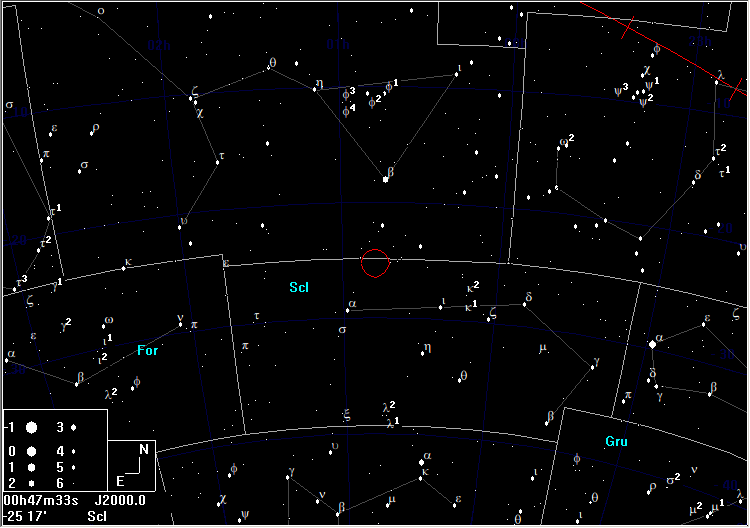 Nearly 5° to the S of Diphda (β Cet), you will find a right triangle of 5th magnitude stars. 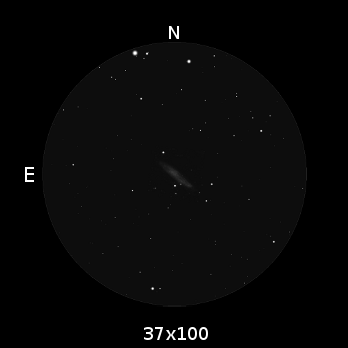 NGC 253 is nearly 3° to the S this triangle. This bright galaxy shows as an elongated glow with a brighter core. It is a relatively easy object, even from the latitude of Britain, despite to its low culmination. It is so bright and large (its major axis is about 2⁄3 the diameter of the Moon) that it is possible to find and identify, even in 50mm binoculars as long as you have the essential ingredient of a good southern horizon. 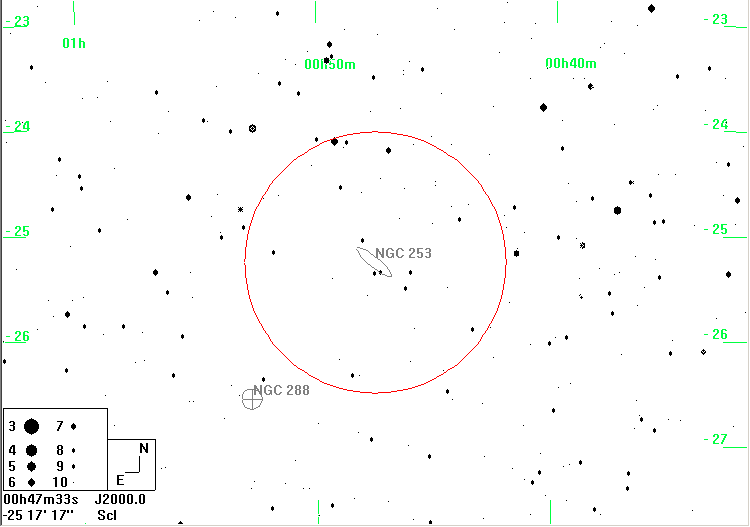 The globular cluster NGC 288, which lies three quarters of a field to the SE, is another easy object, showing as a dim circular glow with about half the diameter of the galaxy.